Financial power of attorney is a written authorization for someone to act on your behalf in business and financial matters in the event that you become incapacitated. Lawyer Michelle Lanchester will help you designate someone you trust to manage your finances through a durable power of attorney in the event you become incapable of managing your own affairs. Without a durable financial power of attorney, the court may appoint a guardian to take over your affairs without your input or the input of your loved ones. Many people wonder why they need financial power of attorney as part of their estate plan. A durable financial power of attorney is an important part of an estate plan that allows you to designate a trusted adult (friend, advisor, loved one, lawyer, family member, etc.) as an agent to manage your financial affairs. In the event that you become incapacitated, durable financial power of attorney allows you to designate someone your trust (known as your agent) to carry out day-to-day financial and business related tasks, including paying your bills out of your funds, depositing checks, making decisions regarding investments and related money matters. Appointing someone you trust in your durable financial power of attorney ensures that you will have someone on hand deal with your business and financial affairs in the event you become incapacitated. Having a financial power of attorney as part of your estate plan can give you valuable peace of mind. Without a financial power of attorney, your family and loved ones will have to ask a judge to appoint a guardian to your property or a conservator to manage your financial affairs. These proceedings can be stressful, expensive and embarrassing for your family members and loved ones. Even if you are married, the durable power of attorney is critical because your spouse may have limited authority to gain access to your property and financial accounts in order to handle business for you. 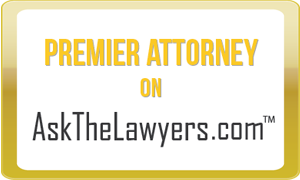 If you want to set up power of attorney, do not wait until you are faced with a crisis. Contact estate planning attorney Michelle Lanchester today at her offices in Washington DC and Largo, Maryland. Give yourself and your loved ones peace of mind.